establishment of healthy nutrition habits. 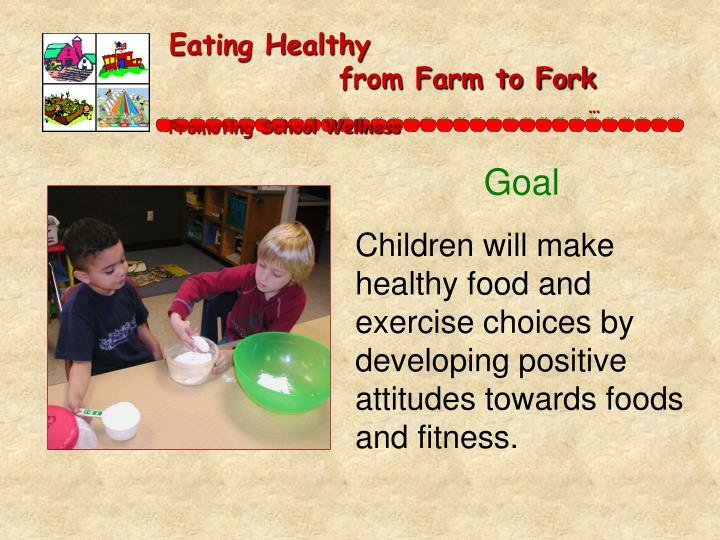 Children will make healthy food and exercise choices by developing positive attitudes towards foods and fitness. Expand their consumption of fruits, vegetables and grains. 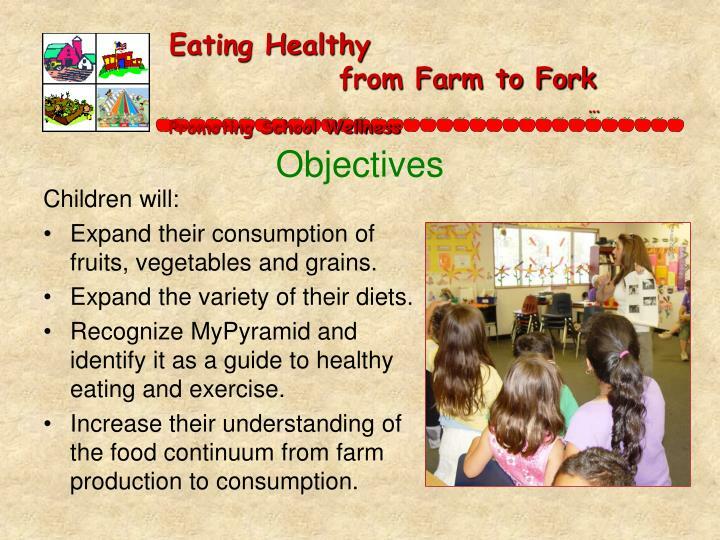 Recognize MyPyramid and identify it as a guide to healthy eating and exercise. 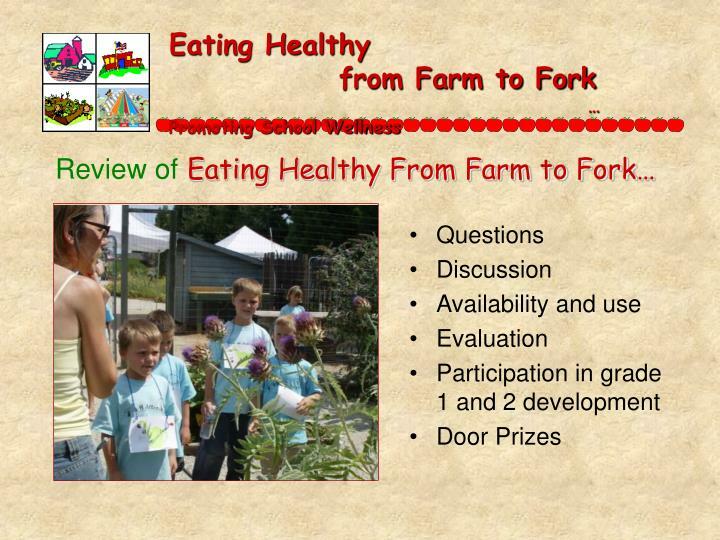 Increase their understanding of the food continuum from farm production to consumption. 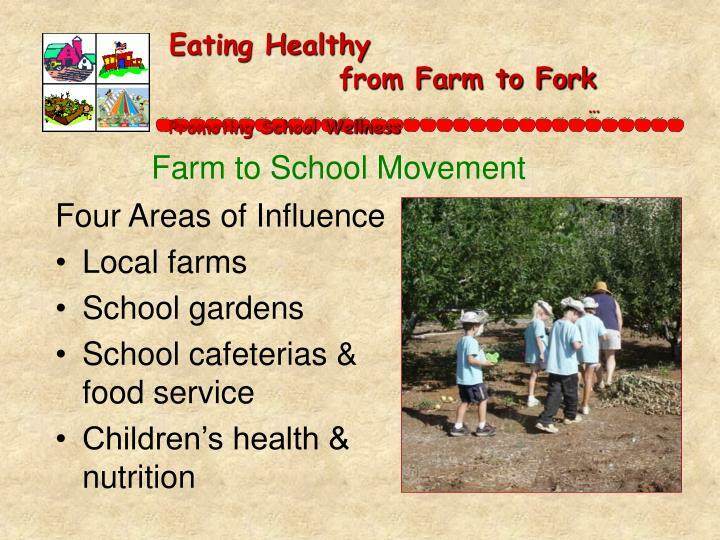 What is the Farm to School Movement? 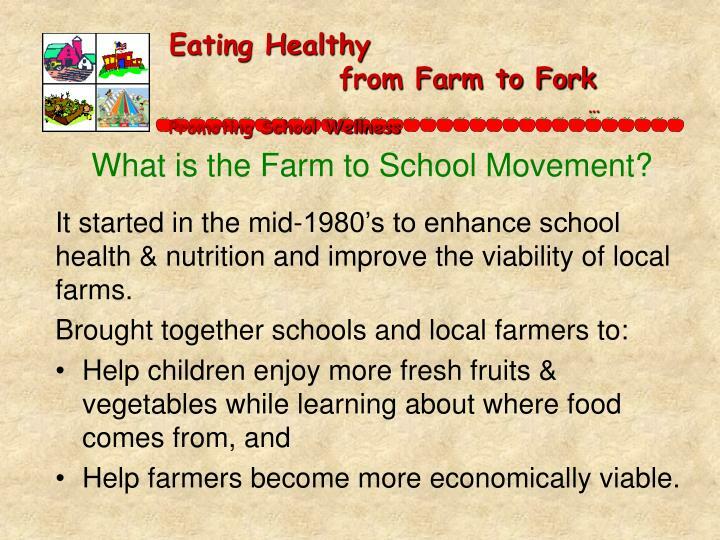 It started in the mid-1980’s to enhance school health & nutrition and improve the viability of local farms. Help farmers become more economically viable. Childhood experiences influence environmental ethics & action (Glazer & Glazer, 1998). Gardening enhances children’s community involvement & life satisfaction (Blair, Giesecke, & Sherman, 1991). Increases self-esteem, a sense of ownership and responsibility (Alexander & Hendren, 1998). 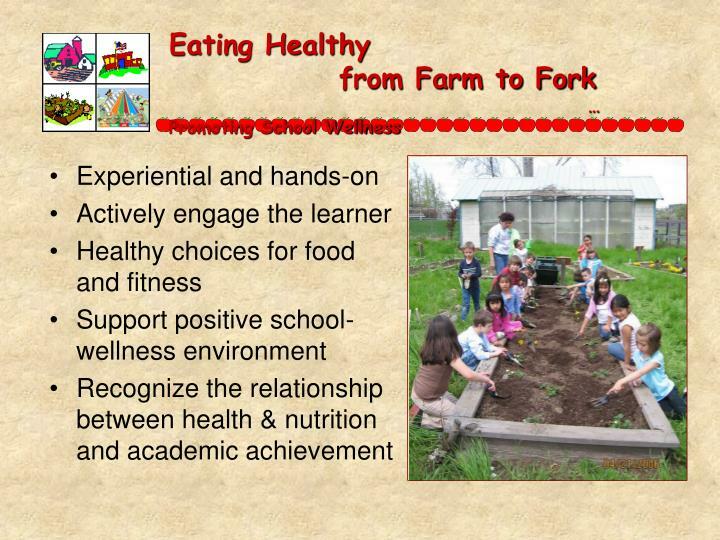 Improved academics, higher test scores, higher levels of critical thinking when involved in garden-based learning (Lieberman & Hoody, 1998; Smith, 2002). 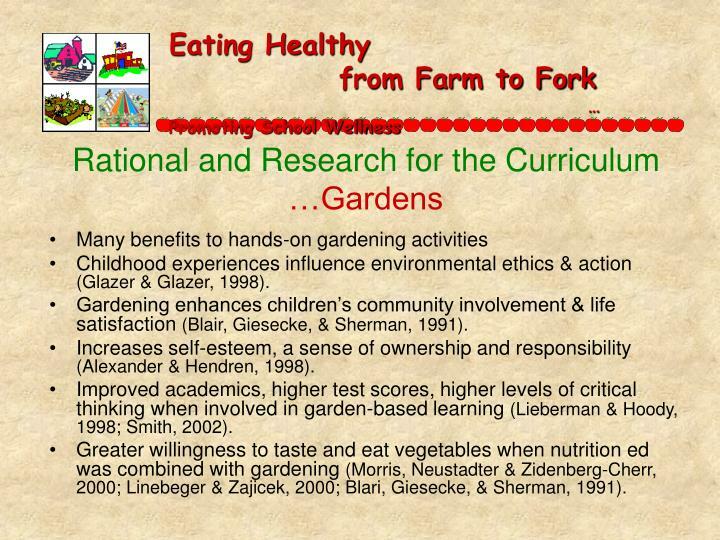 Greater willingness to taste and eat vegetables when nutrition ed was combined with gardening (Morris, Neustadter & Zidenberg-Cherr, 2000; Linebeger & Zajicek, 2000; Blari, Giesecke, & Sherman, 1991). 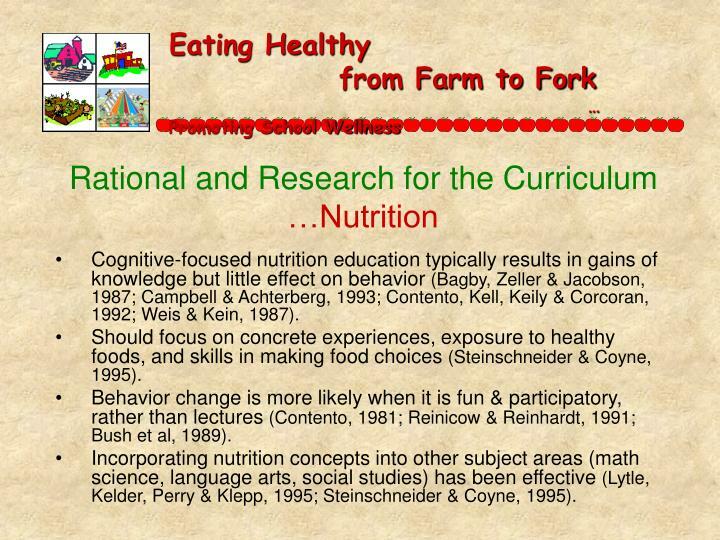 Cognitive-focused nutrition education typically results in gains of knowledge but little effect on behavior (Bagby, Zeller & Jacobson, 1987; Campbell & Achterberg, 1993; Contento, Kell, Keily & Corcoran, 1992; Weis & Kein, 1987). Should focus on concrete experiences, exposure to healthy foods, and skills in making food choices (Steinschneider & Coyne, 1995). Behavior change is more likely when it is fun & participatory, rather than lectures (Contento, 1981; Reinicow & Reinhardt, 1991; Bush et al, 1989). 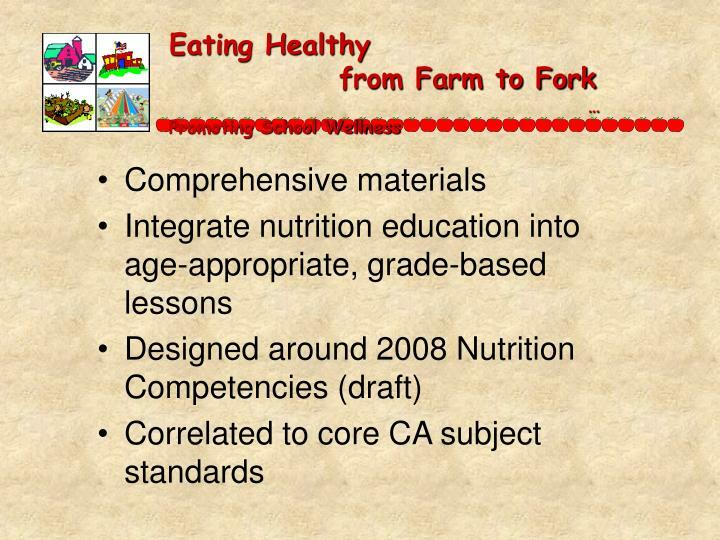 Incorporating nutrition concepts into other subject areas (math science, language arts, social studies) has been effective (Lytle, Kelder, Perry & Klepp, 1995; Steinschneider & Coyne, 1995). Parents have the strongest influence on their children’s eating patterns. 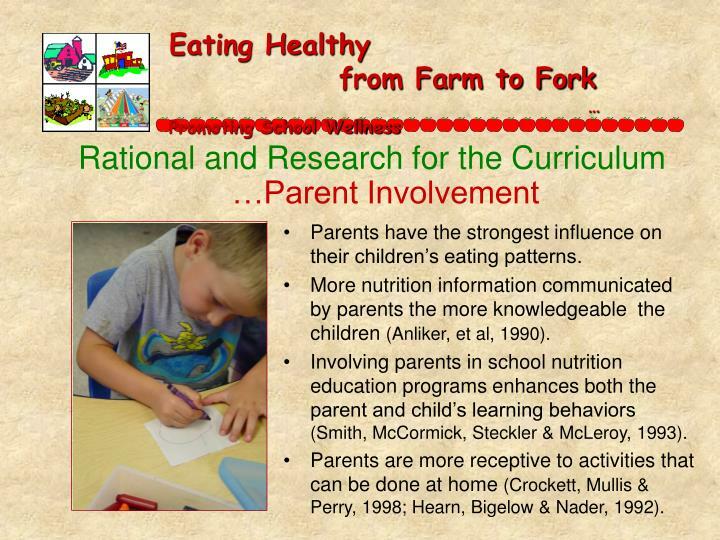 More nutrition information communicated by parents the more knowledgeable the children (Anliker, et al, 1990). Involving parents in school nutrition education programs enhances both the parent and child’s learning behaviors (Smith, McCormick, Steckler & McLeroy, 1993). Parents are more receptive to activities that can be done at home (Crockett, Mullis & Perry, 1998; Hearn, Bigelow & Nader, 1992). 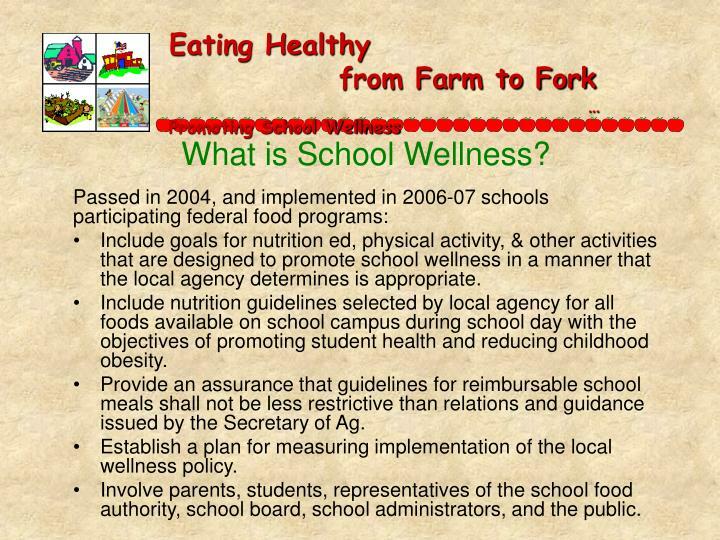 Include goals for nutrition ed, physical activity, & other activities that are designed to promote school wellness in a manner that the local agency determines is appropriate. Include nutrition guidelines selected by local agency for all foods available on school campus during school day with the objectives of promoting student health and reducing childhood obesity. Provide an assurance that guidelines for reimbursable school meals shall not be less restrictive than relations and guidance issued by the Secretary of Ag. 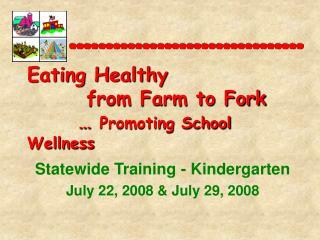 Establish a plan for measuring implementation of the local wellness policy. 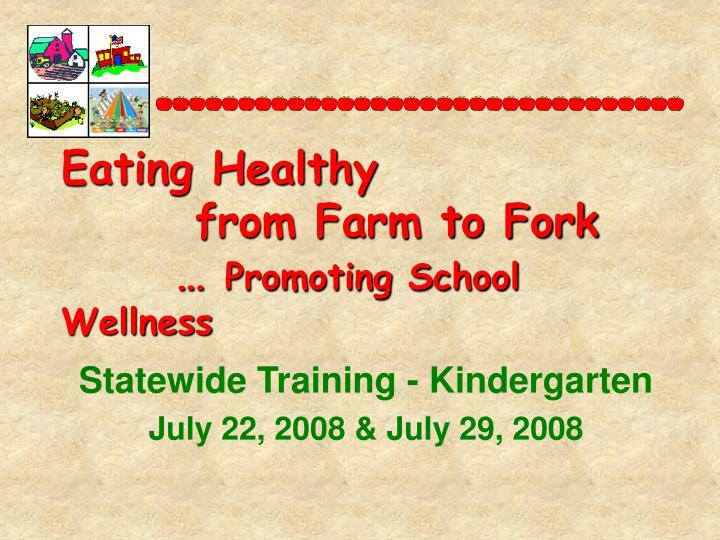 Involve parents, students, representatives of the school food authority, school board, school administrators, and the public. (I.) Know and understand the relationship between the human body and nutrition. (II.) Know current nutrition recommendations and how to apply them. (III.) 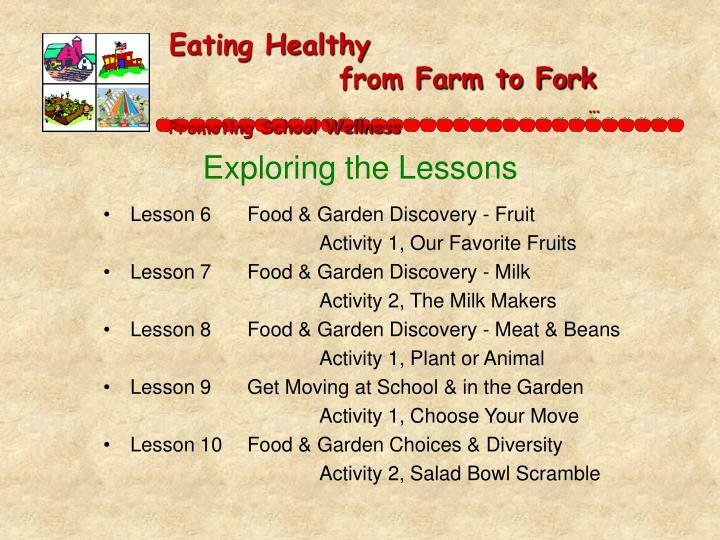 Identify and explore factors influencing food choices. (IV.) 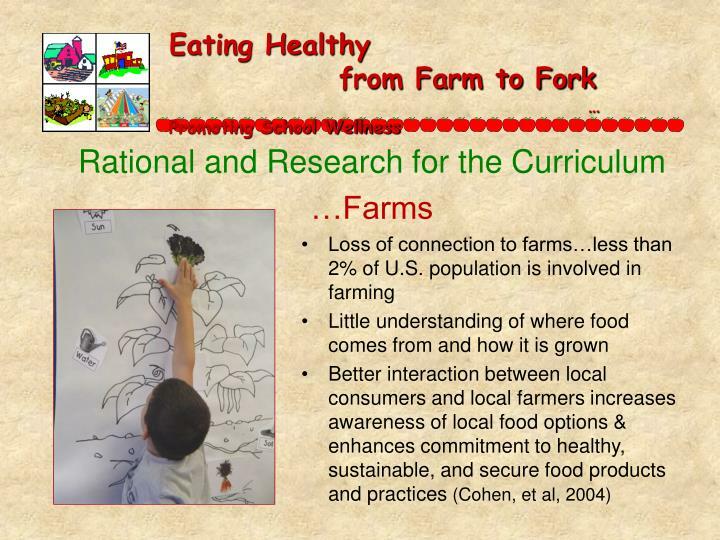 Identify foods that come from particular regions and understand the factors (local, regional, statewide, national, global) that influence food availability, production and consumption. (V.) Demonstrate proper food handling and storage to maximize the nutritional quality of food and personal hygiene to prevent foodborne illness. (VI.) 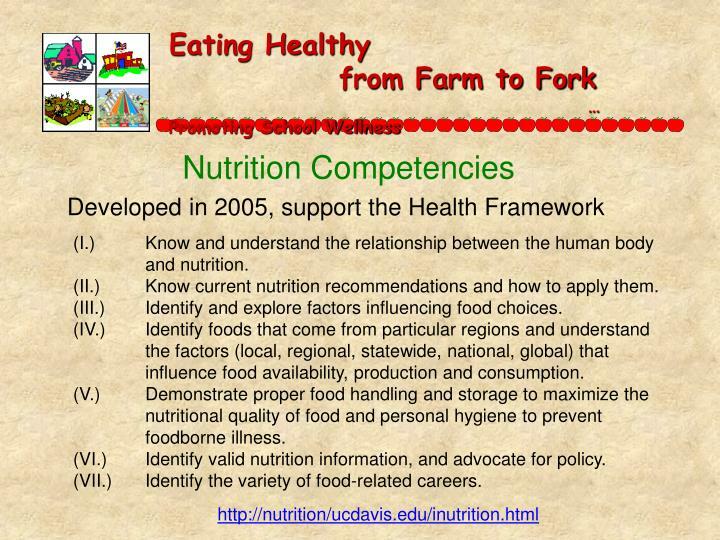 Identify valid nutrition information, and advocate for policy. (VII.) Identify the variety of food-related careers. 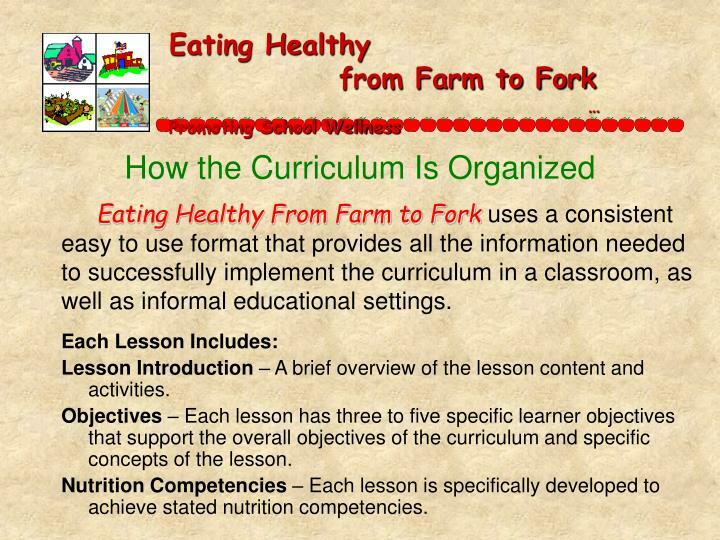 Eating Healthy From Farm to Forkuses a consistent easy to use format that provides all the information needed to successfully implement the curriculum in a classroom, as well as informal educational settings. 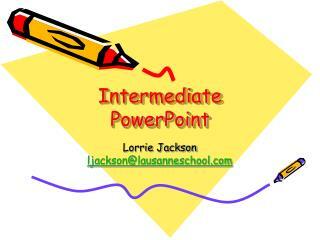 Lesson Introduction – A brief overview of the lesson content and activities. Objectives – Each lesson has three to five specific learner objectives that support the overall objectives of the curriculum and specific concepts of the lesson. 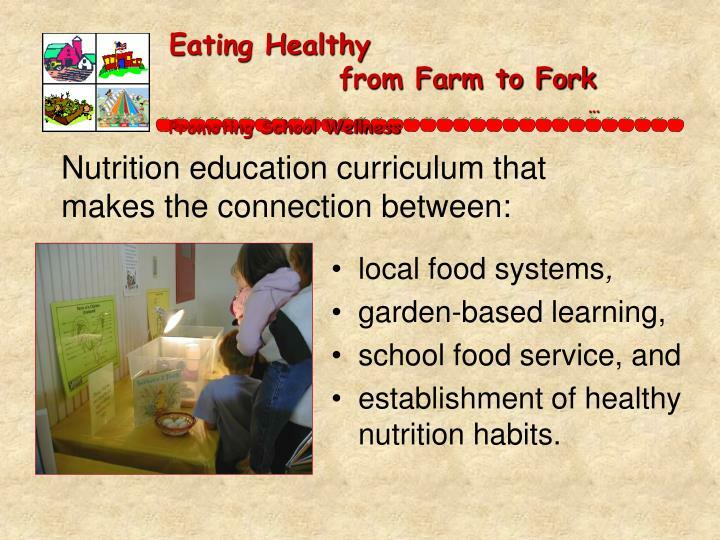 Nutrition Competencies – Each lesson is specifically developed to achieve stated nutrition competencies. 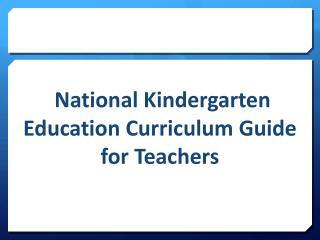 Background Information – Two pages of background information are provided for the educator. 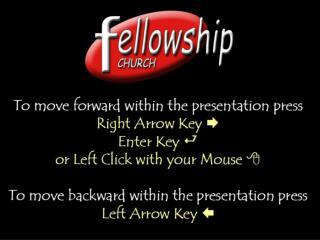 This information should be read prior to teaching the activities. 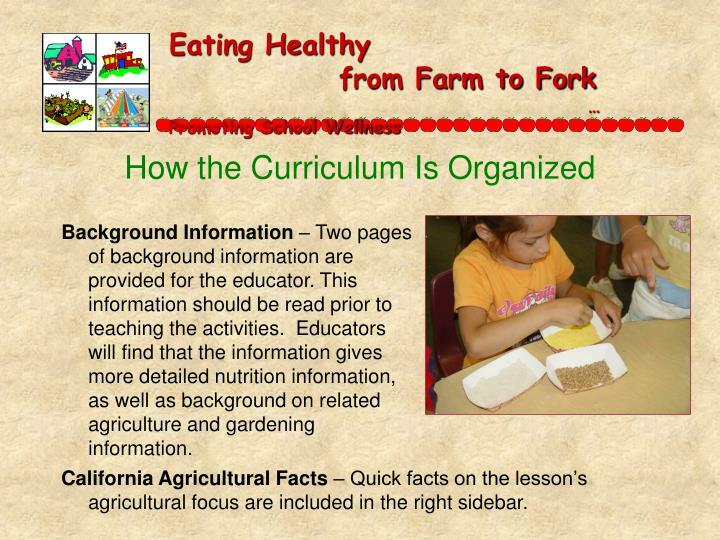 Educators will find that the information gives more detailed nutrition information, as well as background on related agriculture and gardening information. 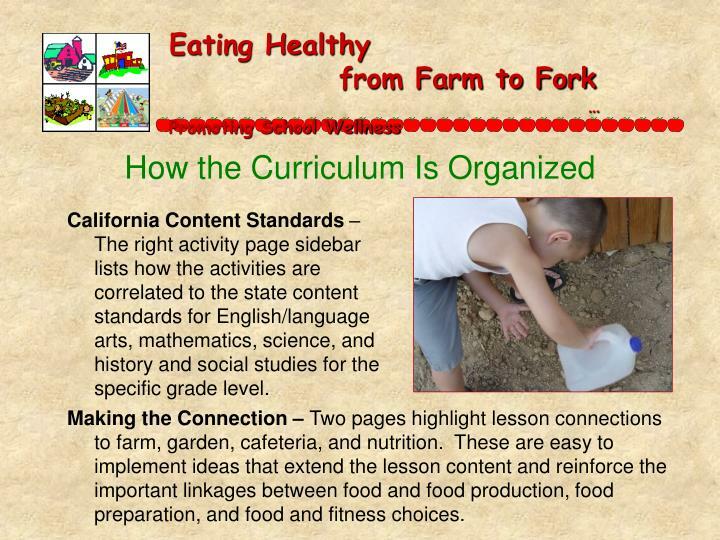 California Agricultural Facts – Quick facts on the lesson’s agricultural focus are included in the right sidebar. 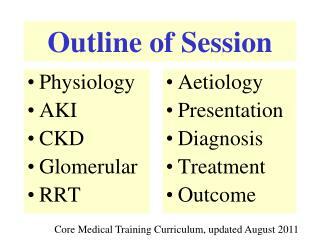 Activities – Each lesson includes two activities that teach the stated objectives. 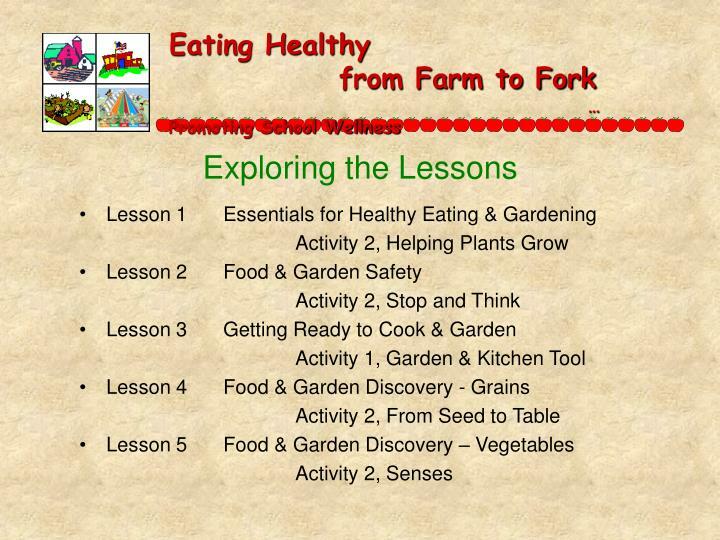 Although one lesson usually focuses more directly on nutrition, the other includes more garden or farm connections. Both activities should be taught and preferable in the order presented. 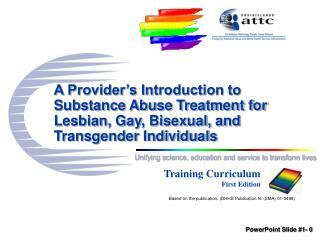 Supply List – All of the supplies, equipment, and materials needed to teach the lesson are listed in the left sidebar. 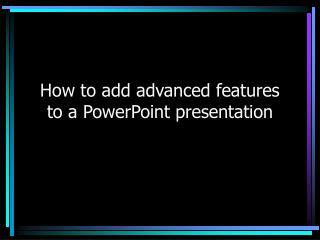 Prep List – A summary of needed advanced preparation is contained in the left side bar. 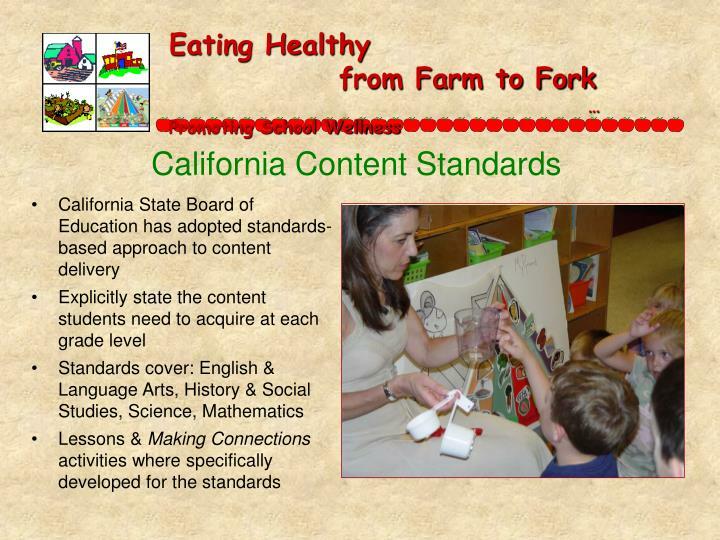 California Content Standards – The right activity page sidebar lists how the activities are correlated to the state content standards for English/language arts, mathematics, science, and history and social studies for the specific grade level. 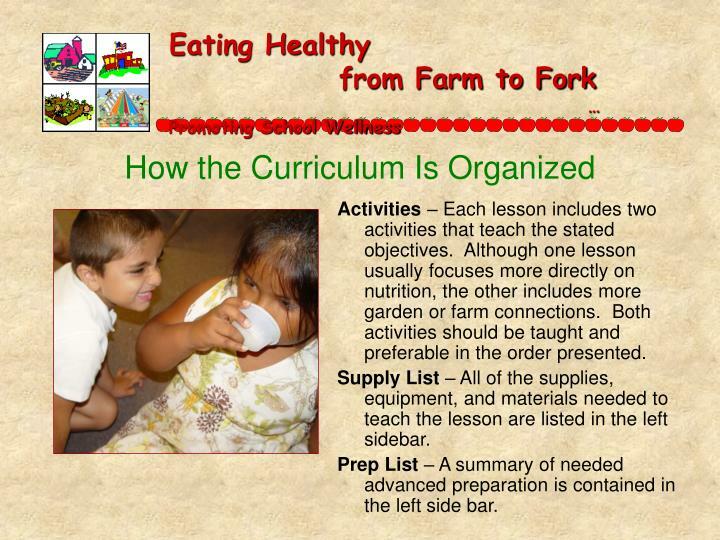 Making the Connection – Two pages highlight lesson connections to farm, garden, cafeteria, and nutrition. 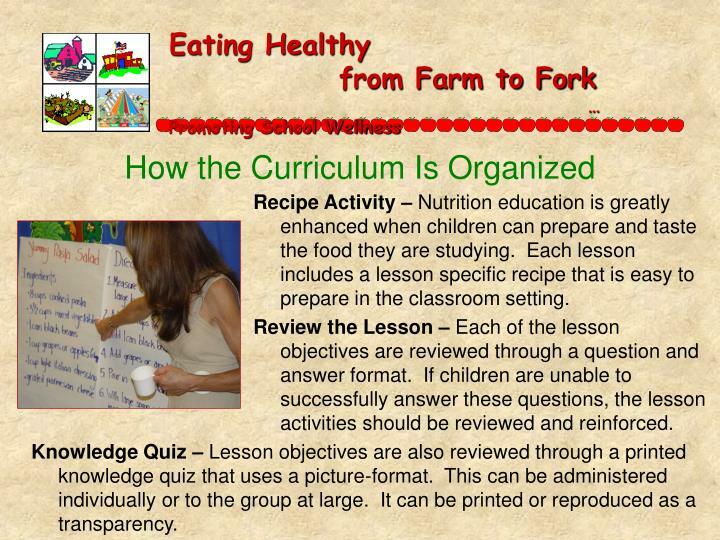 These are easy to implement ideas that extend the lesson content and reinforce the important linkages between food and food production, food preparation, and food and fitness choices. Recipe Activity – Nutrition education is greatly enhanced when children can prepare and taste the food they are studying. 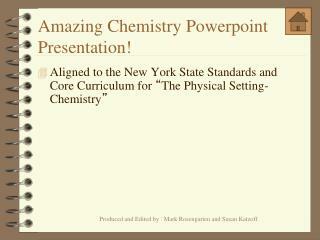 Each lesson includes a lesson specific recipe that is easy to prepare in the classroom setting. 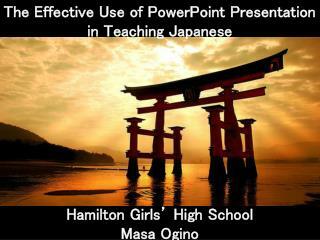 Review the Lesson – Each of the lesson objectives are reviewed through a question and answer format. If children are unable to successfully answer these questions, the lesson activities should be reviewed and reinforced. 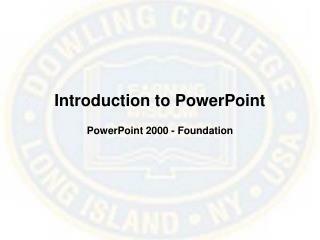 Knowledge Quiz – Lesson objectives are also reviewed through a printed knowledge quiz that uses a picture-format. 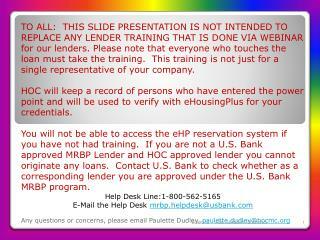 This can be administered individually or to the group at large. 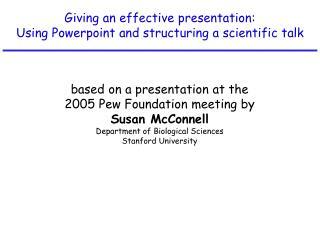 It can be printed or reproduced as a transparency. 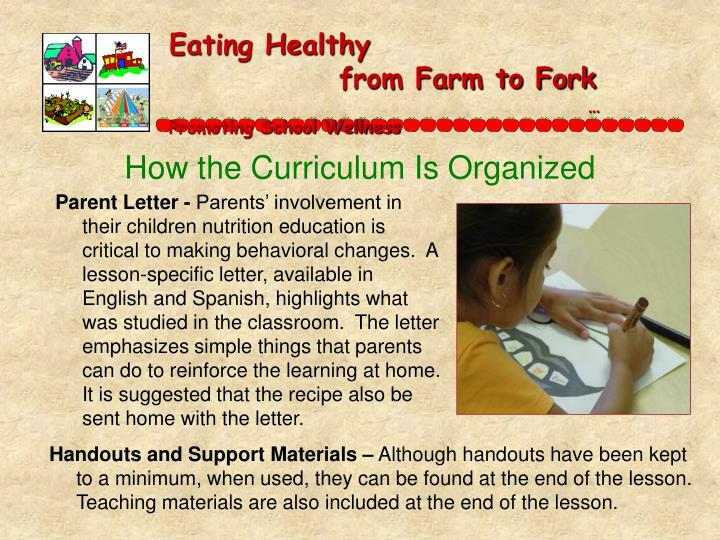 Parent Letter - Parents’ involvement in their children nutrition education is critical to making behavioral changes. 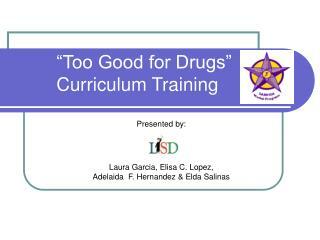 A lesson-specific letter, available in English and Spanish, highlights what was studied in the classroom. 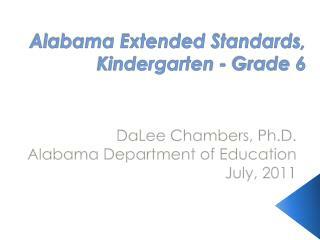 The letter emphasizes simple things that parents can do to reinforce the learning at home. It is suggested that the recipe also be sent home with the letter. Handouts and Support Materials – Although handouts have been kept to a minimum, when used, they can be found at the end of the lesson. 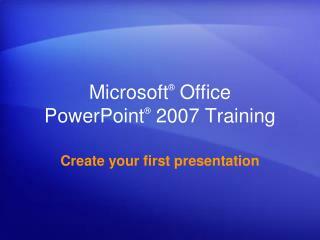 Teaching materials are also included at the end of the lesson. Bagby, R., Campbell, V.S., and Achterberg, C. (1993). 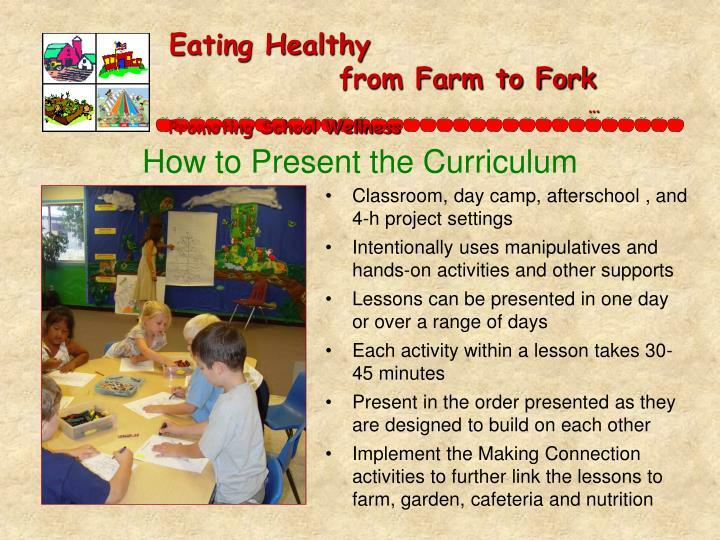 Every day, lots of ways: an interdisciplinary nutrition curriculum for kindergarten-sixth grade. 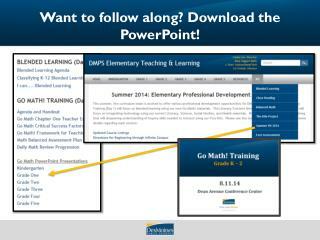 Harrisburg, PA: Pennsylvania State Department of Education. Blair, D., Giesecke, C.C., and Sherman, S. (1991). Dietary, social and economic evaluation of the Philadelphis Urban Gardening Project. 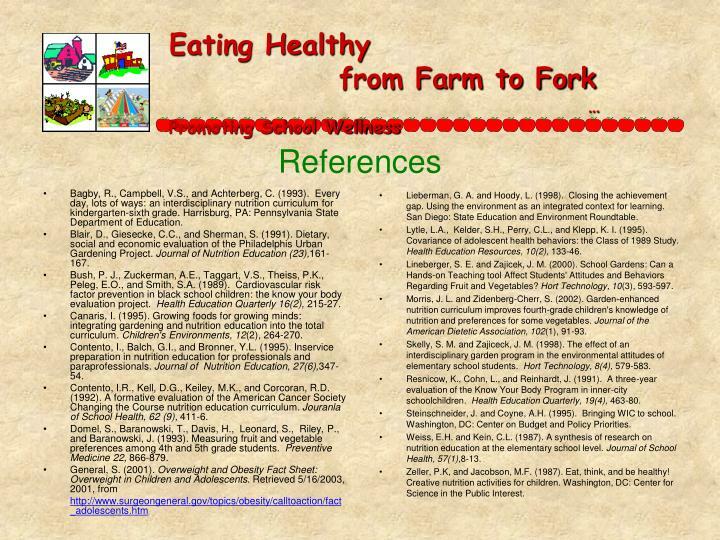 Journal of Nutrition Education (23),161-167. Bush, P. J., Zuckerman, A.E., Taggart, V.S., Theiss, P.K., Peleg, E.O., and Smith, S.A. (1989). Cardiovascular risk factor prevention in black school children: the know your body evaluation project. Health Education Quarterly 16(2), 215-27. Canaris, I. (1995). 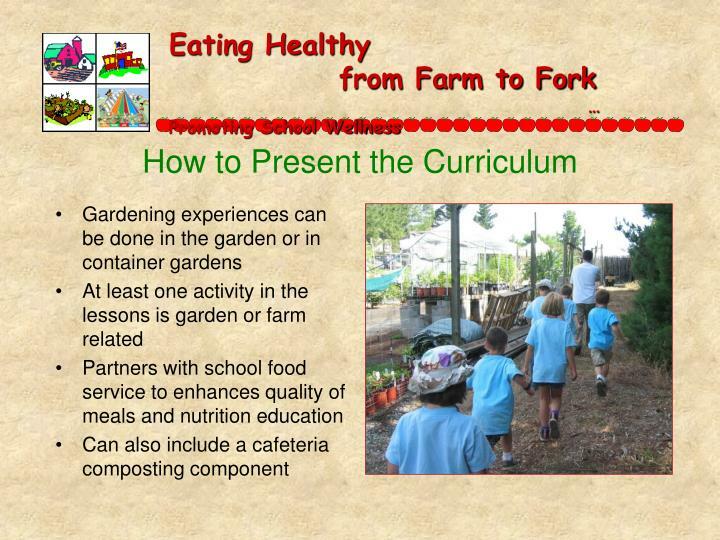 Growing foods for growing minds: integrating gardening and nutrition education into the total curriculum. Children's Environments, 12(2), 264-270. Contento, I., Balch, G.I., and Bronner, Y.L. (1995). 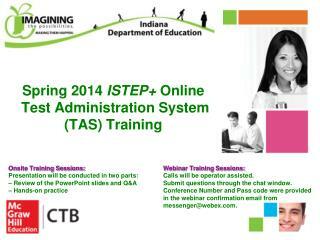 Inservice preparation in nutrition education for professionals and paraprofessionals. 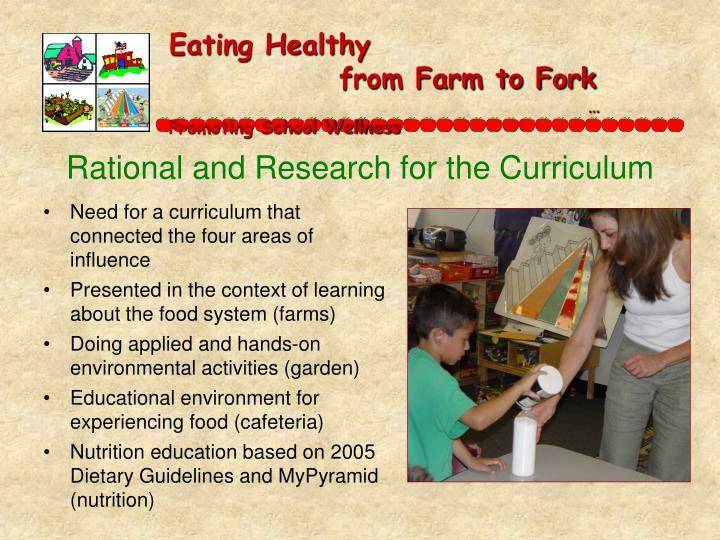 Journal of Nutrition Education, 27(6),347-54. Contento, I.R., Kell, D.G., Keiley, M.K., and Corcoran, R.D. (1992). 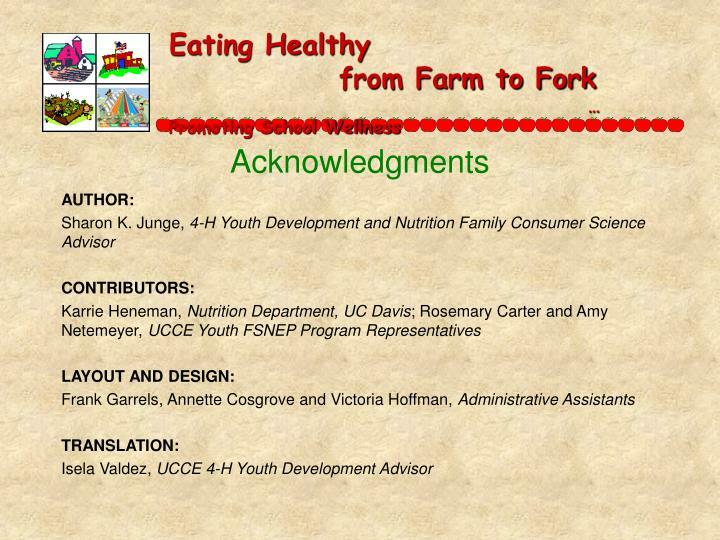 A formative evaluation of the American Cancer Society Changing the Course nutrition education curriculum. Jouranla of School Health, 62 (9), 411-6. Domel, S., Baranowski, T., Davis, H., Leonard, S., Riley, P., and Baranowski, J. (1993). Measuring fruit and vegetable preferences among 4th and 5th grade students. Preventive Medicine 22, 866-879. Lieberman, G. A. and Hoody, L. (1998). Closing the achievement gap. 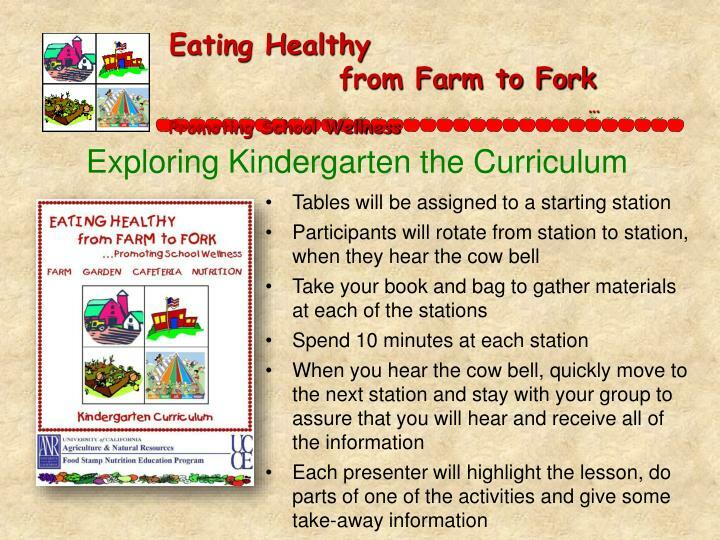 Using the environment as an integrated context for learning. San Diego: State Education and Environment Roundtable. Lytle, L.A., Kelder, S.H., Perry, C.L., and Klepp, K. I. (1995). Covariance of adolescent health behaviors: the Class of 1989 Study. 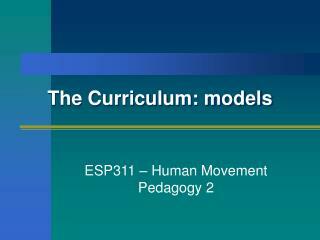 Health Education Resources, 10(2), 133-46. Lineberger, S. E. and Zajicek, J. M. (2000). School Gardens: Can a Hands-on Teaching tool Affect Students' Attitudes and Behaviors Regarding Fruit and Vegetables? Hort Technology, 10(3), 593-597. Morris, J. L. and Zidenberg-Cherr, S. (2002). Garden-enhanced nutrition curriculum improves fourth-grade children's knowledge of nutrition and preferences for some vegetables. Journal of the American Dietetic Association, 102(1), 91-93. Skelly, S. M. and Zajiceck, J. M. (1998). 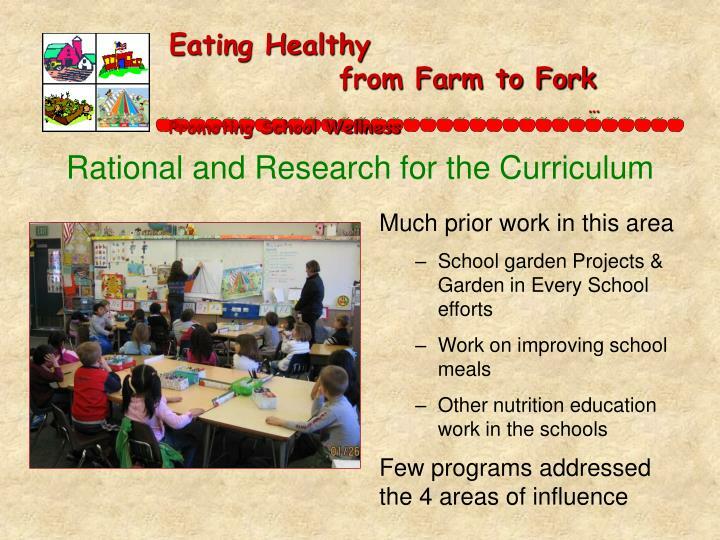 The effect of an interdisciplinary garden program in the environmental attitudes of elementary school students. Hort Technology, 8(4), 579-583. Resnicow, K., Cohn, L., and Reinhardt, J. (1991). A three-year evaluation of the Know Your Body Program in inner-city schoolchildren. Health Education Quarterly, 19(4), 463-80. Steinschneider, J. and Coyne, A.H. (1995). Bringing WIC to school. Washington, DC: Center on Budget and Policy Priorities. Weiss, E.H. and Kein, C.L. (1987). 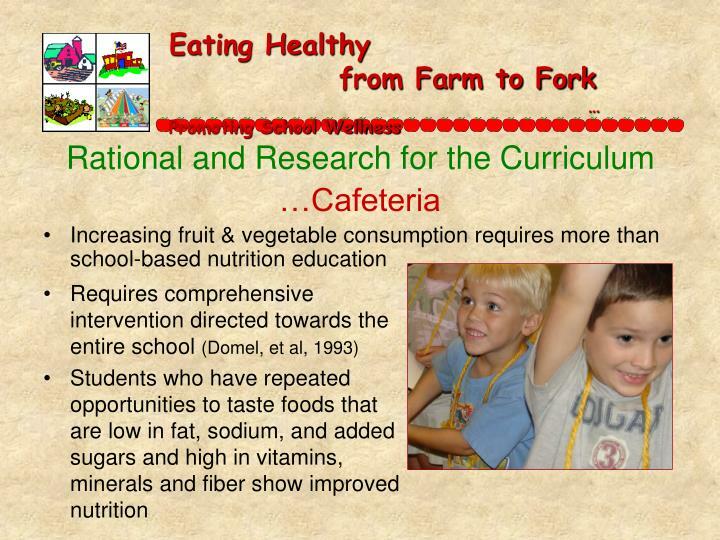 A synthesis of research on nutrition education at the elementary school level. Journal of School Health, 57(1),8-13. Zeller, P.K, and Jacobson, M.F. (1987). Eat, think, and be healthy! Creative nutrition activities for children. Washington, DC: Center for Science in the Public Interest.